According to a USA Today article, the number of traffic deaths that involved at least one driver testing positive for illegal drugs or prescription medication has nearly doubled over the course of the last decade. 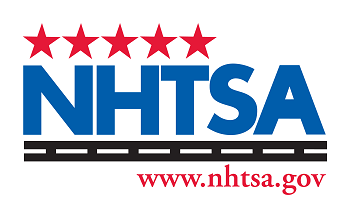 With information provided from the National Highway Traffic Safety Administration, the article states that in 2015, 21% of the 31,166 fatal auto crashes in the U.S. involved at least one driver who tested positive for drugs after the accident. That’s up from 12% in 2005. While marijuana users represented the largest increase, the opioid epidemic now sweeping the country is also a contributing factor. The jump in drug-related highway fatalities corresponds with the movement to legalize marijuana in increasingly more states. Glenn Davis, highway safety manager for Colorado, said that it was “highly probable” that his state’s move to legalize marijuana caused an increase in fatal crashes there. In June, researchers with the University of Iowa’s National Advanced Driving Simulator (NADS) presented results that showed drivers who had smoked marijuana exhibited increased weaving that was similar to someone with a 0.08 blood-alcohol content (BAC) reading. “As we see more people driving on the road with different controlled substances – whether they be illicit or prescription drugs – the risk is increasing,” said Tim Brown of NADS. To help minimize the negative impacts of prescription or over-the-counter medications, you can adjust the dosage, modify the timing of the doses or when you actually take the medications or talk with your doctor about a substitute medication. Get in touch with us here at Barber & Associates. The first meeting is always free, so call us at 907-276-5858 or send an email.